Mind games such as crossword puzzles keep the mind stimulated. Whether you're 10 years old or 90, stimulating the brain helps to keep brain cells active and encourages neural development and maintenance, and new brain cell growth. Crosswords help keep a senior's mind more alert and sharp. Mental stimulation is essential, especially as we age. Like our bodies, our brains can get lazy. Keep your brain active and stimulated in order to maintain focus, concentration, and increase your attention span. If you're taking care of an elderly parent or loved one, encourage them to play mind games. If they are resistant, sit down and attempt a puzzle together. Lead through example, and you'll also benefit from the companionship, laughter, and mental stimulation solving puzzles can offer. The trick for caregivers, whether you take care of an elderly loved one in a home environment or work in a skilled nursing facility, is to make puzzles or other mind games creative and fun. Find ways to keep your elderly loved one mentally stimulated. Have a contest to see who can solve a puzzle the fastest. Schedule such mind game activities every day, even if it's for only five to 10 minutes. Gradually increase the time devoted to puzzle solving, which may also increase communication between those working on the puzzles, or the elderly individual and their caregiver. Make sure that your elderly loved one has adequate reading glasses or a magnifying glass to help make solving puzzles more enjoyable. If your loved one is unable to see well, or to write well, solve puzzles verbally. You can do this by reading the clues, offering the individual the number of letters to be filled, and then working on the puzzle that way. Your imagination and enthusiasm will encourage a senior to gain a great deal of enjoyment from solving puzzles that also maintains open lines of communication, and hones their thinking and mental concentration skills all at the same time. Remember the old saying, "use it or lose it." This is especially true for the brain. Think of the brain as a muscle that needs to be exercised every day for health and wellness. Mental stimulation in seniors also helps to prevent depression and a sense of isolation. Encourage puzzle activities either individually, one-on-one, or as a group activity with everyone working on the same crossword puzzle. This is especially beneficial in a skilled nursing facility where seniors can get together to work out a puzzle as a group. This also encourages social interaction, develops friendships, and provides a sense of belonging. Where Do you Find Crossword Puzzles? Puzzles may be found in a variety of sources. Activity directors of skilled nursing facilities are able to download puzzles and print them off the Internet. A variety of online game sites on the Internet also provides access to puzzles. 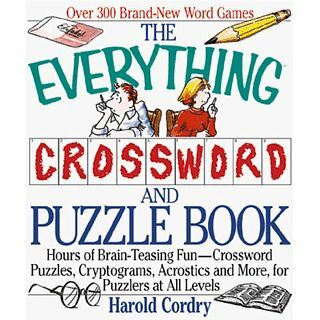 Crossword puzzle software available for purchase in office supply stores or over the Internet may also be downloaded onto a computer, offering a variety of difficulties as well as themes for puzzle solving enjoyment. 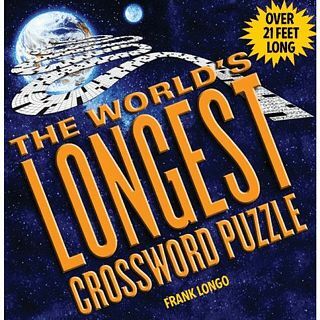 Puzzle books are available from most drugstores and bookstores. Puzzles range from easy to medium to hard, and can be catered to the capabilities of your loved one or group of seniors, depending on scenario. Crossword puzzles may also be found in most local, regional and national newspapers. Solve them one at a time, or print the puzzle off the daily newspaper and encourage seniors at home or in skilled nursing environments to attempt to solve the puzzles at their own pace. Keep in mind that most puzzles found in newspapers can be rather challenging. You don't want to frustrate your loved ones, but gently and slowly challenge their mental concentration, memory, and thinking skills.